A few weeks ago, I featured an interview with Max Lucado on grace as he prepared to release his latest book. As a reviewer for Book Sneeze, I got my hands on a copy early. In typical Lucado story/devotional form, Max explores many aspects of the grace of God. Whet your appetite? There is more where that came from. 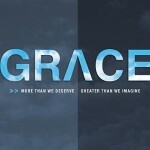 Max Lucado’s Grace: More Than We Deserve, Greater Than We Imagine is yet another fantastic and heart touching book. The chapter entitled “You Can Rest Now” was my favorite. Max explores our obsession with busyness and the consequential tiredness. The Israelites which were set free from slavery would have never desired to return. Why do we seek to put ourselves back into slavery that we are free? The miners who were recently trapped in Chile did not rely on their own efforts to get them to freedom. They acknowledged their need for help.